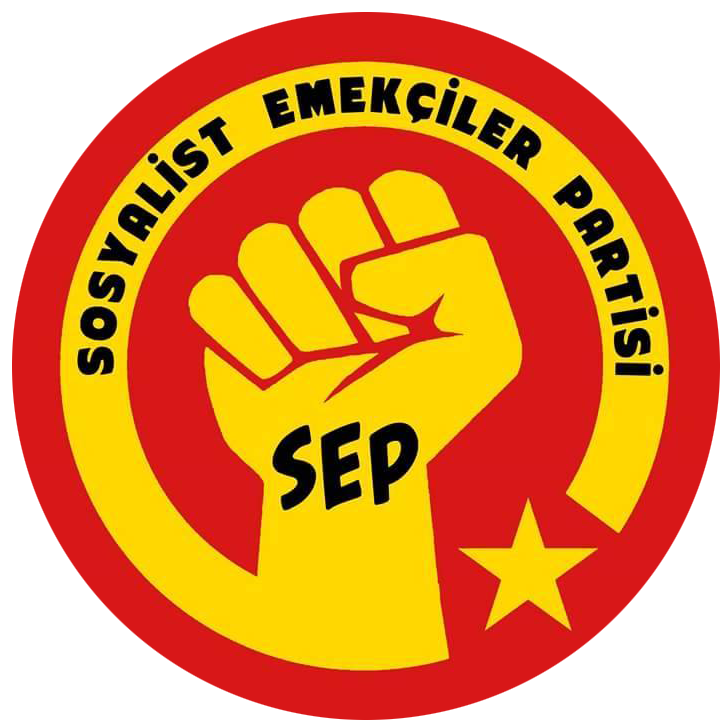 Socialist Laborers Party(SEP), while developing the revolutionary party construction in Turkey is also preparing to offer a significant contribution to the duty of the construction of the workers and youth’s international revolutionary Marksist vanguard. The revolutionary marxists who know that the only way for salvation of the humanity is international will never limit themselves with national duties. Besides, the construction of a revolutionary party cannot be fulfilled only on the national ground. The proletarian internationalism is not an abstract principle, but a real fight and comradeship relation that arouse from class struggle. In this respect our party, SEP, demonstrates the necessary priority in order to carry out internationalist duties. The most important pillar of this is to directly participate in the international class struggle and to develop channels with the revolutionary Marxist organizations that we agree on in terms of principles. 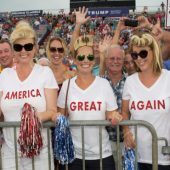 In this context, we have been examining Argentina very closely for it has the most powerful class movement, the strongest women’s movement and the strongest revolutionary Marxist structures in the world. As a result, we sent a delegation to Argentina for the first time in 2015. Our comrades did not only observe the Argentina class struggle, but also developed international ties with revolutinary Marxist organizations. 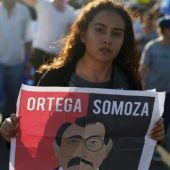 As of October 2018, our party took an important initiative by sending a comrade to Argentina for 3 months. This relatively long visit has given successful results and has led to very important political developments. 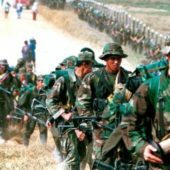 Interviews with MST (Movimiento Socialista de los Trabajadores), one of the most important revolutionary Marxist organizations in Argentina, brought us to the point of unity. 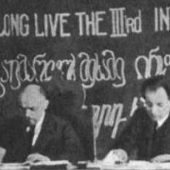 The partnership with the MST was deepened when the partnership at the principle level combined with the methodological agreement on how to create an international new revolutionary focus. In this context, in addition to our comrade in Argentina, another delegation, including one of our central committee members, moved to Argentina. As a result of the discussions, it was agreed that the SEP would build an international revolutionary movement between the Anticapitalist Network organized in 9 countries led by the MST. The meetings with MST ((Movimiento Socialista de los Trabajadores), one of the most important revolutionary Marxist organizations in Argentina, brought us to the point of unity. The meetings with MST was intensified when the partnership at the principle level combined with the methodological agreement on how to create a new international revolutionary focal point. Hence, the process was accelerated by sending another delegation -apart from our comrade already in Argentina- including one of our central committee member to Argentina. As a result of discussions, it was agreed that SEP and Anticapitalist Network which is organized in 9 countries lead by MST would build an international revolutionary movement. The strengthening of an international revolutionary Marxist focal point in today’s world, where capitalism has not been able to overcome its structural crisis, the class struggle is intensified and the bourgeois central parties are disintegrating, has a historical meaning. In this context, the unity between Anticapitalist Network and SEP is a big step forward. We are even more excited about the positive developments in the direction of a joining of Pakistan’s most important socialist organization, The Struggle (Struggle). There is a strong need for a revolutionary internationalist organization that has concrete ties among laborers and young people. This unity, which we have created, will be a center of attraction worldwide as it corresponds to this need. We are faced with a tremendous step forward in this historic mission. SEP and its international comrades are committed to expanding the class struggle and the revolutionary construction process all over the world. What is the MST and Anticapitalist Network? 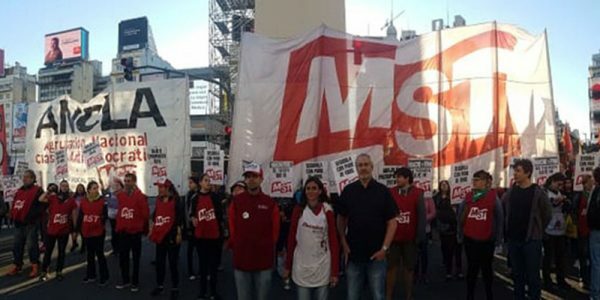 The MST (Socialist Workers´ Movement) is one of the main parties of the Argentinian left. It is a Marxist-Leninist-Trotskyist organization. 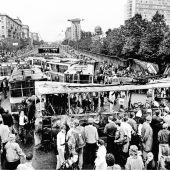 Founded in 1992, it was born out of the struggle against the pessimist liquidationism that penetrated the ranks of the current founded by Nahuel Moreno after the fall of the Berlin Wall. In a country marked by economic instability, acute class struggle and the crisis of the traditional political and labor leaderships, the MST aspires to build a unitary left alternative for the workers and people of Argentina, confronting the sectariansm and opportunism of other sectors of the left, who hinder this objective. The MST has national extension, with an organized presence and public offices across the country. It is firmly rooted in the labor movement, with organizations in many unions, that are grouped in its National Classist Anti-bureaucratic Organization (ANCLA), which was the main driving force in the launching of the Classist Syndical Plenary that unites most of the left and classist currents of the labor movement. The youth of the MST has an extensive student movement in universities and high schools across the country. Its anti-capitalist feminist organization Juntas y a la Izquierda, is the most dynamic organization in the current feminist movement and played a central role in this years struggle for legal abortion. The MST´s social organization, Teresa Vive, organizes thousands of unemployed workers in neighborhoods across the country. In may of 2018, the MST and other groups from Latin America and Europe launched the Anticapitalist Network with the objective of regrouping the revolutionary left internationally around a revolutionary working-class program. Unlike the pessimistic currents who do not believe revolution to be on the agenda and have abandoned the construction of revolutionary parties to dissolve into broad formations, or have isolated themselves in sectarian and abstentionist projects, the premise of the Anticapitalist Network is that there is ample political space and opportunities in this polarized world to build revolutionary organizations, intervene in social processes and fight for their leadership. The Anticapitalist Network is present in Argentina, Belarus, Brazil, Chile, Colombia, Ecuador, Spain, France, Paraguay, Uruguay, Venezuela and among Nicaraguan exiles, as well as solidarity relations in Ukraine and Russia. The strategic objective of the MST and the Anticapitalist Network is the construction of revolutionary working-class parties and an International for the world socialist revolution. 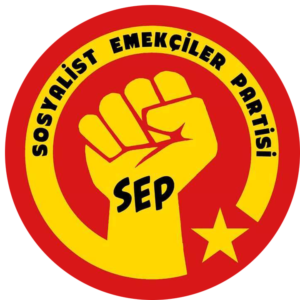 Our main goal today is to build a new international organization with the comrades of the SEP and to join with The Struggle of Pakistan as well, since this would create exceptional conditions favorable for other parties to also join and build a strong and dynamic international current. Yedek Lastikçi Kani Beko'dan İZBAN İşçilerine Karalama!